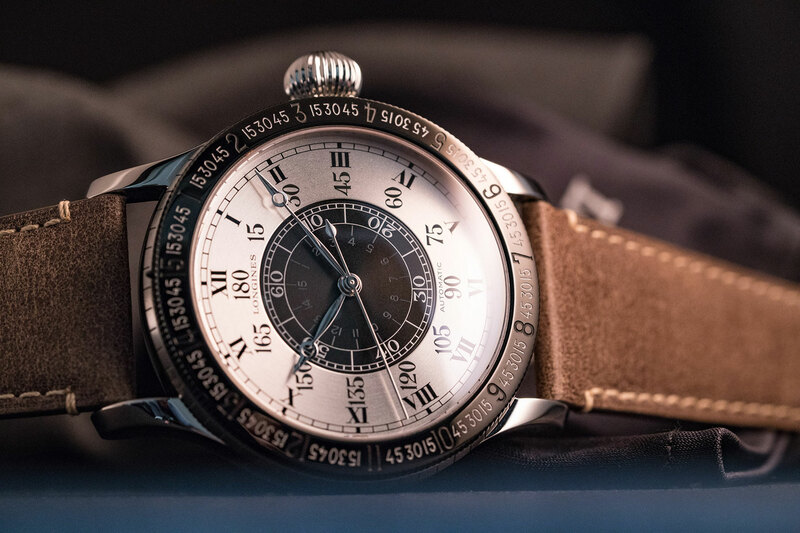 This post is served with an almighty fist pump, because just like our crystal ball ‘predicted’, Longines has announced a 90th Anniversary version of the Lindbergh Hour Angle, a few months ahead of the anniversary celebration. Longines has still managed to pull out a major surprise though. The steel and titanium watch will be limited to just 90 pieces. The hour referenced in the name of the model will be about as long as it takes for the model to sell out. 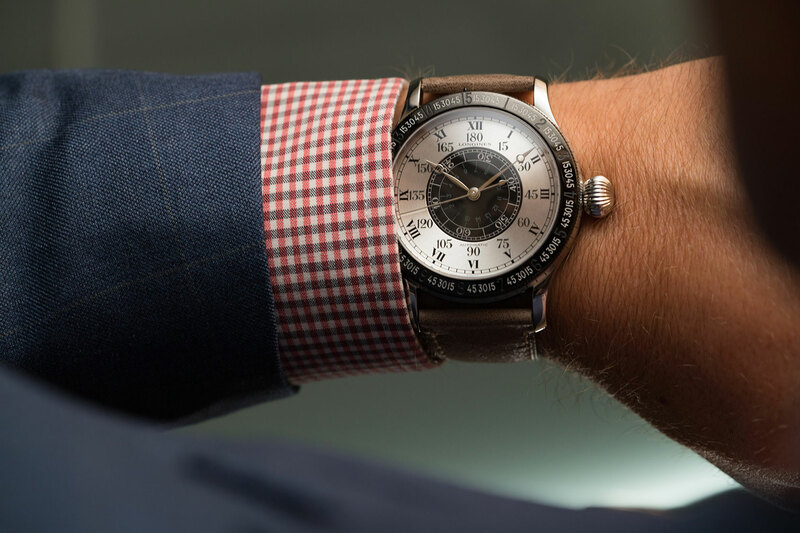 The original ‘hour angle’ watch was designed in a partnership between Charles Lindbergh and Longines following his 33-hour flight from Roosevelt Airport to Le Bourghet, outside Paris. The historic feat was timed by Longines, who were official timekeeper for the World Air Sports Federation. 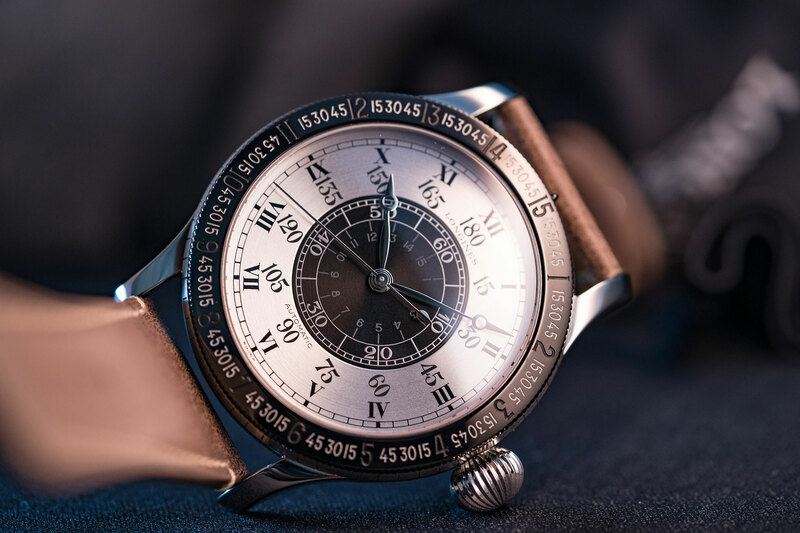 Lindbergh had some ideas about how to determine longitude during long-distance flights using a rotating bezel to allow for the correction of the equation of time and a rotating centre dial that allows for synchronization to the second. The resulting watch, which has had several reissues over the years, indicates the hour angle in degrees and in minutes of arc in addition to indicating hours, minutes and seconds. Pilots and navigators have used the hour angle watch since to find their geographic location quickly, efficiently and with great accuracy. 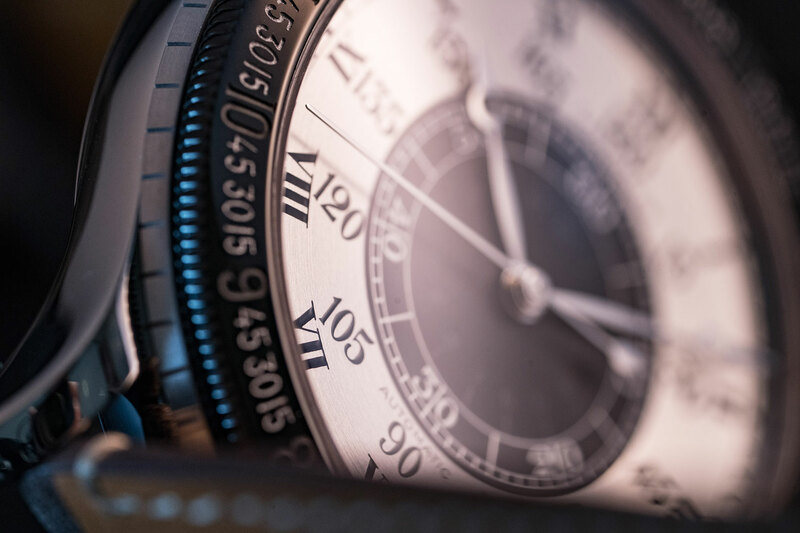 The watch is massive on the wrist at 47.5mm, but the size is practical for pilots of the old-school variety; it is easy to read while piloting a craft and more manipulatable than smaller sizes in the dark. The size also helps to maintain legibility when it’s subjected to the vibrations that were common to aircraft of the era. The dial is brushed silver and displays the time on a dial with railroad style minute tracks and painted Roman numerals. It dispalys a 180° scale for calculating longitude. The synchronization of the second hand with a radio time signal occurs by rotating the galvanic black central dial. The black PVD steel rotating bezel allows for daily variations in the time equation to be taken into account. 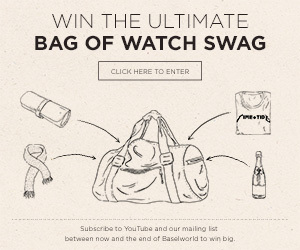 It is powered by the L699 automatic calibre and housed in a titanium case. The large steel crown is another authentic touch, as it is easy to wind or set, even with gloved fingers. The brown leather aviator-type strap comes with an extension that allows the watch to be attached to an oversized pilot’s jacket. With this nuanced and exceptionally limited, you are well and truly cleared for takeoff.